A new online learning component, PLATO Learning, will be introduced to the CORE program at Darien High School, Assistant Superintendent Matthew Byrnes told the Board of Education at a recent meeting. Superintendent Stephen Falcone said after the meeting CORE is a special education program "for students who have some social, emotional and/or academic needs." Byrnes told the board that the administration was looking for a flexible online learning system, which would accommodate the needs of students, teachers and administration. He said the bottom line is that the system is "very flexible in terms of us being able to take the content and make it fit with what is happening in the classrooms at Darien High School. That means we can flex it how we need to for students and make sure they're learning whatever we need them to learn." Byrnes told the board students in the CORE program are traditionally absent. "They can often experience a crisis that may keep them out of school for a week or more," he said. "Reentry is difficult and normally we are starting students who are already struggling with the environment of comprehensive high school and/or issues outside of that that complicate matters for them." Students will start using PLATO in the fall. "We got five seats for 18 months," Byrnes said. "Five seats mean at any given time, five students from Darien High School can be using the system." 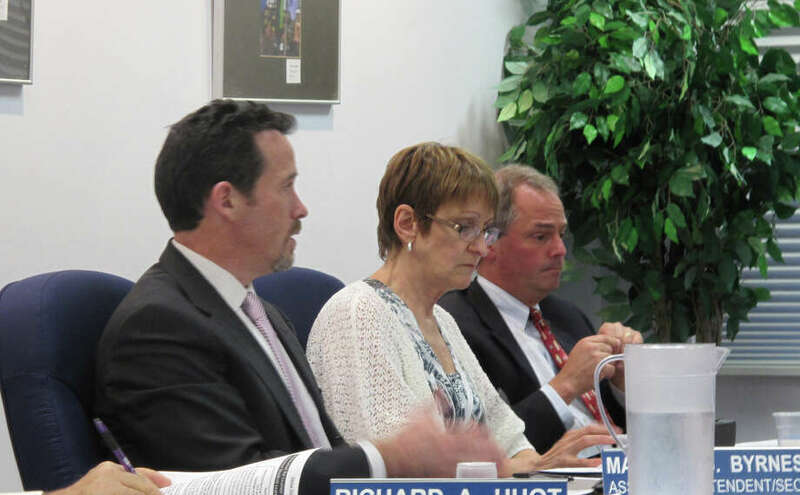 Byrnes noted at the meeting that the administration was attracted to the design of the system. "The system itself provides curriculum at the lesson level, at the unit level, and at the course level," he said, adding that it also includes test preparation and follow-up resources. "The interface is very user-friendly," he said. "This is a company that has been delivering this service for over 20 years." "We looked at a student who had a concussion injury, and they had a limited amount of time that they could spend in school, because it was just too overwhelming, and they were out for an extended period of time," Falcone told the board. "This could potentially serve as a way to bring the students up to speed. It could be delivered in part at home, part at school. But it has continuity to it too." BOE member Heather Shea added, "There's an economic value to this, too, because, if a child is out for a week, we have to pay a tutor." The school district is obligated to provide home-bound tutorial for students absent more than 10 days, Falcone said. He added that PLATO will not necessarily substitute for tutors, but could assist them in instruction. "One of our goals is always to try to have the students come to school," Byrnes said. "But often times, some of the issues the student struggles with are tied to being at school. So it's a very delicate sort of balance. We never would say, `We don't want you to be here, so go home and do this.' "
Byrnes said he thinks the system is an excellent fit for the program's needs. "We're excited about it an hopefully it will work well," he said.